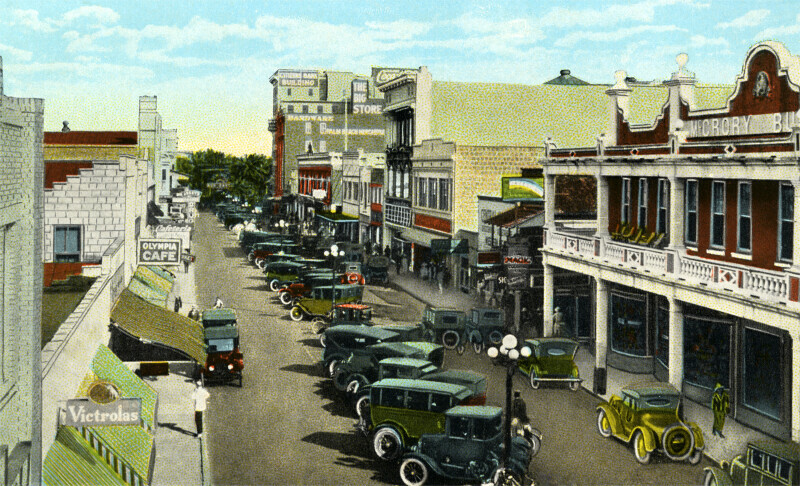 This image shows the buildings that line Clematis Avenue, including the Olympia Café, the Big Store (hardware), and the Citizens Bank Building. On this block, there are mostly two and three story buildings. There are cars parked in the center of the avenue, at an angle to the street. There are streetlamps running down the center of the avenue.